What are your wishes for the future of information-sharing? 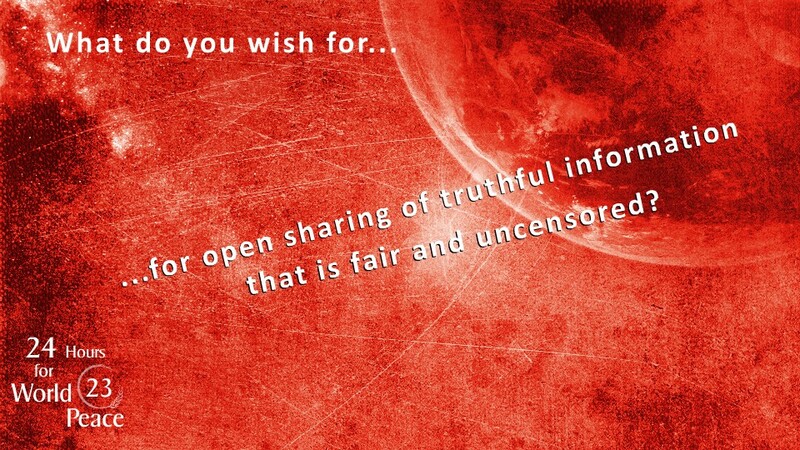 What do you wish for in order to have open sharing of truthful information that is fair and uncensored? No matter how big a crowd may be, a person like Dr Vasanth Vijay Guruji always stands out! There’s no one who has worked as hard as Guruji in last few years for Peace and Harmony. Now effort have paid off. Congratulations to Dr Vasanth Vijay Guruji for this fabulous Victory… Guruji deserves this award every bit.. he made India very Proud… Right Choice By Right People..
Congratulations to Dr. VASANTH VIJAYJI MAHARAJ for the fabulous victory. Lets all pray to God for the successful & early completion of Gurudev’s World Peace Mission.